The MATnet team: Hoppie Joubert and Gren Povall, and recent apprentice Marcus Allan. It’s in the corporate DNA of MATnet, and the blood of founders Gren Povall and Hoppie Joubert. They’ve lived in the spectacular surroundings of the Mackenzie Basin for more than 20 years each, and breathed engineering since childhood. Almost everyone in Twizel seems to know them. Gren has the British equivalent of the new National Diploma of Engineering in electronics and telecommunications, and is a qualified radio mechanic. Hoppie, after starting a career as a fingerprint specialist in the South African police, then qualified in Telecommunications through an adult apprenticeship. Both have supplemented their technical know-how with business management qualifications. But its engineering that gets Gren and Hoppie of bed. You can tell that from the glint in the eye when the techie talk starts, the superbly-stocked and super-orderly workshop, and the solid technical base on which MATnet (Mackenzie Access Technologies Network) has been built. 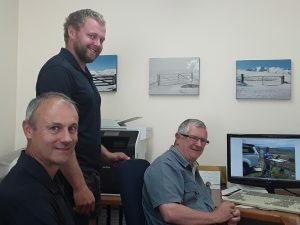 And their home base, Twizel, has been engineering-focused since the days when the Ministry of Works built the massive Waitaki River hydro scheme which dominates the landscape. G&H Comms – the parent company of MATnet – started in 2007. At the time Gren and Hoppie were both working locally for the giant Swiss/Swedish multinational ABB. The pair were donkey deep in electricity, installing and maintaining a range of SCADA and fibre infrastructure in power stations. Today MATnet has about 500 users. Coverage starts near Burkes Pass in the north, runs east to Peak Valley near Benmore, west to Mount Cook Station, and south to the Lindis Pass. The topography is extraordinarily varied and the coverage map looks like a piece from an intricate jigsaw puzzle. Table Hill – a solid site built for adverse conditions. The Mackenzie country is no place to take shortcuts. 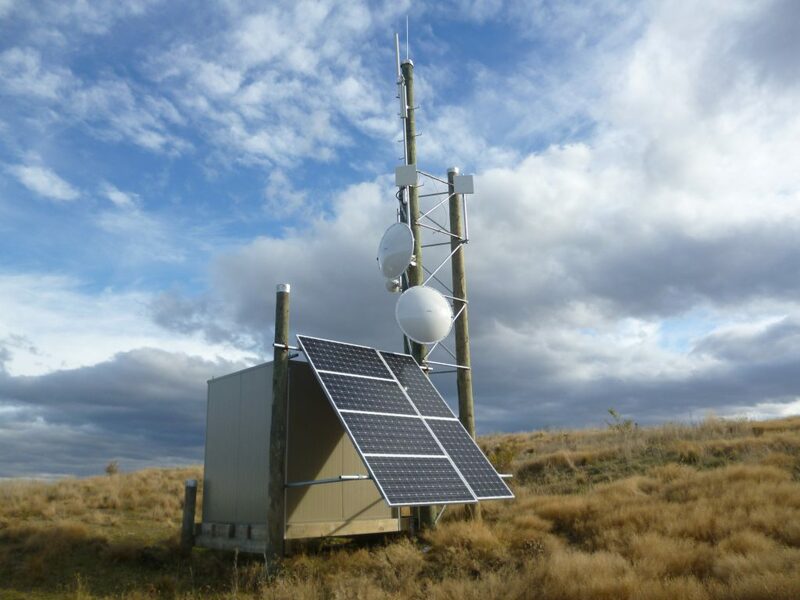 Some of MATnet’s 27 wireless sites are subject to extreme weather, especially gale force winds. One cools to a constant minus 20 degrees in winter. Heat transfers are used during winter for de-icing. Most sites are monitored by high definition cameras. Visiting on an idyllic January afternoon, it was hard for me to believe that just 2 days earlier it had been snowing on the surrounding mountains. The MATnet team never go anywhere without winter gear. Snow, sheep damage, and wind damage are always risks so no shortcuts are taken in design. Wind gusts of 180km/h have been recorded on one site. Many sites include weather stations. Customers are predominantly farms, but also include many accommodation places in this tourist Mecca – from luxury establishments charging up to $3000 a night, through to backpackers. But whether they pay $3000 or $30, modern day globe trotters all expect to play Netflix movies without buffering. That’s something MATnet cheerfully provides. One recent backpacker guest described its service as the fastest backpacker Internet they had discovered anywhere in the world. An AirBnB place told MATnet that after they signed up for high quality reliable Internet their occupancy rate doubled from about 35% to more than 70% – a huge return on a small investment. Yet another top end establishment scans MATnet’s live cameras before deciding whether to collect the guests by car or by plane. Then there are salmon farms with retail outlets. Everything needs to be monitored – oxygen levels, water temperature, and processes. Security surveillance is huge. Meanwhile the shop needs EFTPOS. That’s a lot of MATnet’s secret of success. Its connectivity business is supplemented by technical support in diverse ways through the parent company – SCADA systems, a lot of power station work including telemetry, innovative systems for the South Island rowing venue, new ways for shearers to record shearing and wool packing data in the merino industry, and security systems. When a customer wants something innovative Hoppie and Gren leap into action – that’s what drives them. “Industrial trouble shooters” is their self-description. Gren gets excited about bringing connectivity to the country. “It’s satisfying giving country people something the city people take for granted,” he says. Summer is an exciting time because of the district’s influx of tourists. There are numerous peak events – the Maadi Cup for rowing often crashes the cell phone networks. Then there are food and wine festivals. At Christmas the population of Twizel goes from about 1500 to 9000. MATnet doesn’t let its community down but gears up to meet the demand. Meanwhile the business is heavily into community activities. Live camera coverage of rowing championships, a backbone for media coverage, PA services, search and rescue, and community security are all offered on a pro bono or cost recovery basis. Is there scope for MATnet to grow? Geographically, perhaps not much other than some growth in burgeoning lifestyle blocks. But MATnet’s unique combination of skillsets and enthusiasm for telemetry and related technologies may drive innovation within the existing customer group for a long time. Engineering innovation in the Mackenzie country certainly didn’t end when the last power station was commissioned. Look no further than MATnet for genuine, ongoing on-line entrepreneurship. 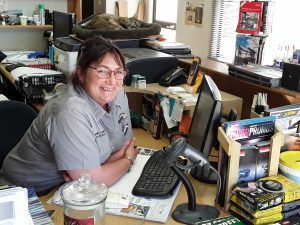 Susan (Sue) Allan runs a thriving accounting practice from the property where she was brought up – on the main highway near Burkes Pass, served by MATnet’s Mt Hay wireless site. Being a professional accountant means there are a lot of software changes to contend with. There’s a daily download of IRD data into Sue’s system and a constant range of work in progress on the IRD site for various clients. 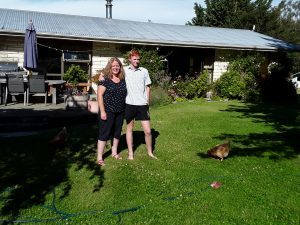 Sue’s son Josh is usually at boarding school in Timaru, but appreciates the high quality Internet when he comes home for holidays. 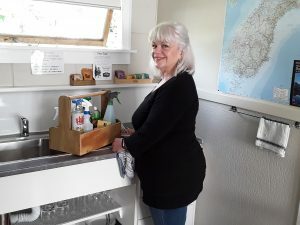 Multi skilled Julie Greig – artist, motel manager, and sometimes cleaner. So says Julie Greig at Burkes Pass Accommodation and Gallery, another who was on “expensive and useless” satellite Internet until MATnet came along. In the satellite days the business couldn’t share Internet with the guests – there just wasn’t enough capacity. But now they love it and get regular reviews on the travel sites commenting favourably on the quality of the connectivity. 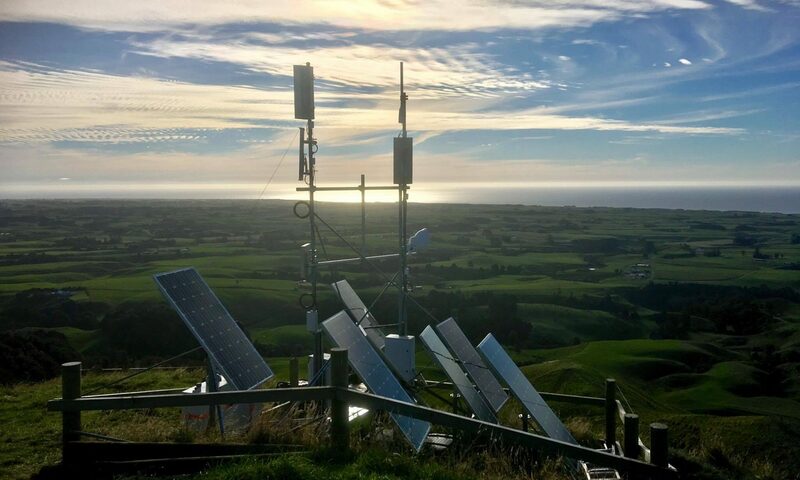 Claire Lawrence at Mackenzie Country Building Supplies “had a gutsful” when a big national phone company put new equipment in, “destroyed” her Internet, and showed no interest in her predicament with her business being taken off line. “They just wouldn’t talk to me,” she laments. We couldn’t do banking or anything – it was a networking issue. Big corporate arrogance. But a few hours after talking to MATnet her store was on line again. Claire Lawrence of Mackenzie Country Building Supplies.